Step to entrance. Large living room with tiled floor and French doors/galley-style kitchen. Dining room. Boot room. Two double bedrooms, one with additional single bed (for +1), one with en-suite bathroom with roll-top bath and toilet. Shower room with toilet. 1st comment: Very lovely location with cliff walks right on the door step. 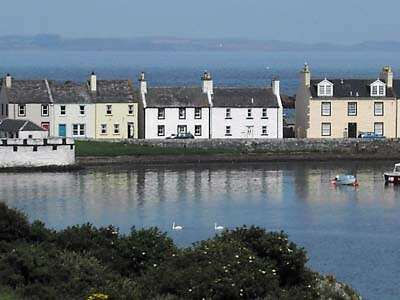 The Clansman in Port William serves excellent meals but you must book. 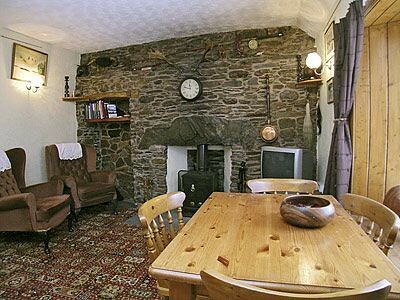 Cottage really cosy with comfy beds and furniture. Would highly recommend it. Oct 2011. 2nd comment: Millwalk cottage was a clean, comfortable cottage in an extremely peaceful location just five minutes walk to the beautiful coastline. Lovely walks both from the cottage and in the surrounding countryside. Superb for bird watching and wildlife. May 2011. 3rd comment: Beautiful isolated property with 360 degree views. Warm and comfortable. Nov 2010. 4th comment: Peace and tranquility, and enclosed garden for your dogs. Oct 2010. 5th comment: We liked the remoteness of the property. Size was also good & the fact it had central heating & a good power shower. Sept 2010. 6th comment: The property was clean, warm and comfortable. It was well equipped and had everything we needed for a stress free holiday. Sept 2010. 7th comment: Superb location and fully equipped. Sept 2009. 8th comment: Lovely remote location but glad we had a suitable vehicle. Aug 2009. 9th comment: Very beautiful and peaceful surroundings with walks down to the sea. Aug 2009. 10th comment: Stunning location and a lovely adult cottage... great not to have bunk beds and loads of children related stuff in the cottage. Look forward to returning. March 2009. 11th Comment Cosy and clean, nicely furnished, great gardens, multiple options for sitting outside, securely fenced for the dog. However you must like cattle! Sept 2009. 12th Comment The Bottle of wine that was put out for our arrival was a nice gesture. The Cottage and garden where perfect and just what we wanted, especially the decking and widow seat dinning room, even the summer house was well equipped. The surrounding area was very nice and the local people very pleasant and easy to get on with. All in all a pleasant and very relaxing break. We will go back again. Feb 2009. 13th Comment A fantastic place to relax. 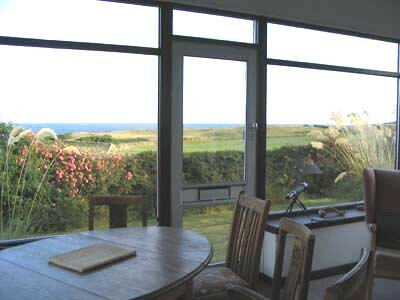 The views to the sea were breath-taking and the location was superb for long walks. Not sure how easy it would be to let the dogs out if there was actual live stock in the open fields... March 2008. 14th Comment The grounds are excellent for owners with dogs as it is very secure. Oct 2008. 15th Comment An excellent holiday! 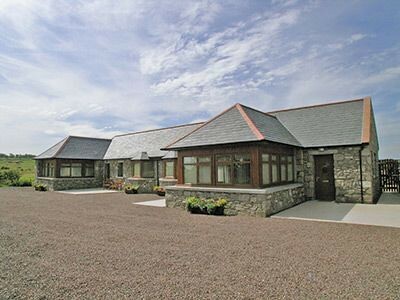 Sea views, cliff top walks, hills, rabbits, pheasants – all on your doorstep. A clean, well-appointed house with pleasing views on all sides. Recommended for a relaxing holiday. April 2007. 16th Comment The cottage and everything in and around it is wonderful, we have had a marvellous holiday and have thoroughly enjoyed touring around the beautiful places. June 2007. 17th Comment Lovely quiet location by the sea. Excellent views, walks and golf nearby. Enjoyed conversations every other day with staff in grocer, butcher, deli & visitor centre in Whithorn. We’ll definitely go back. Oct 2007. 18th Comment Fantastic wildlife – Roe deer, adders, grey seals, peregrine, gannet and dolphins or porpoises (too far to tell). What a haven. Aug 2006. 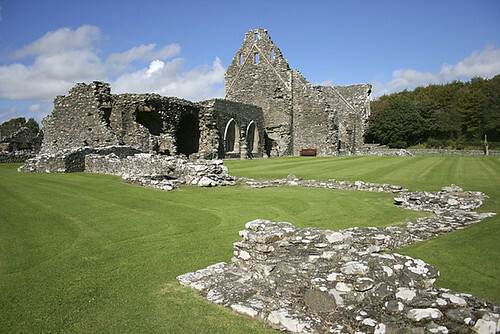 Ancient abbey founded in 1192 with both Bruce and Mary Queen of Scots connections. 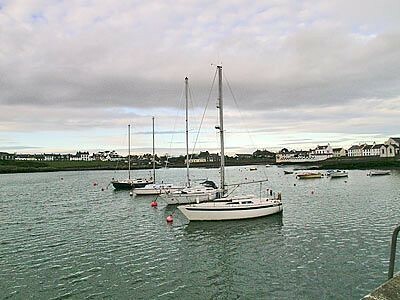 Sleeping three people in two bedrooms, this cosy single storey cottage is on the edge of the fishing village of Isle of Whithorn in Dumfries and Galloway.